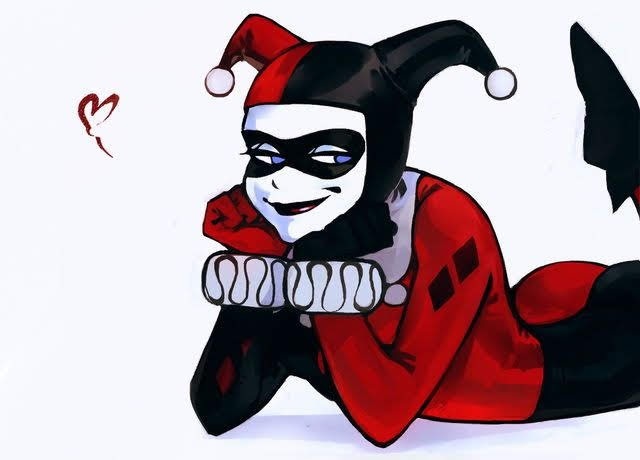 Is She Ready Yet Mistah J ? 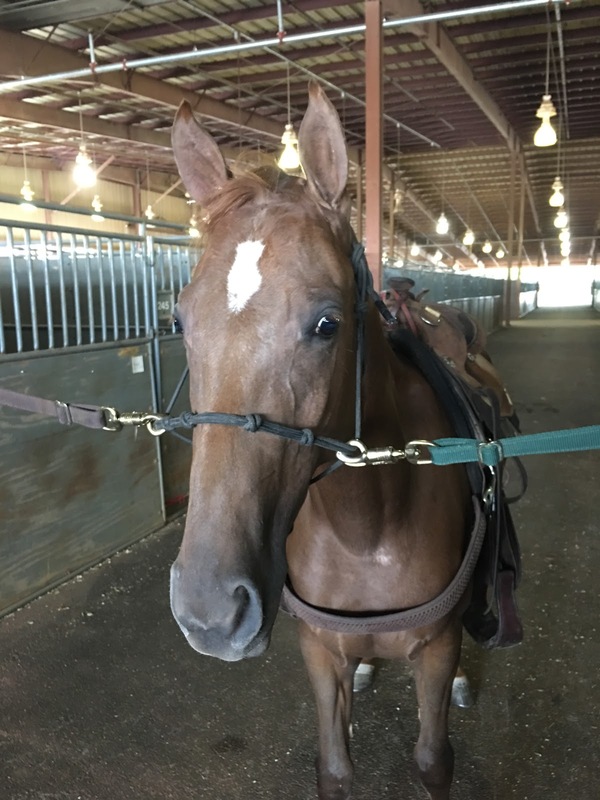 I got the call I’d been waiting for: “When can you come down to ride her?” Having a two year old can be a practice in patience as they get broke and exposed to new things for the first time. But Quinn had turned a corner after Joe showed her for the first time at the Walking For Cancer Show. So now he wanted to get me up on her. Yippee! Just moments into my first ride ever on I’m Harley Quinn. Alas, I had business travel that delayed my trip, but I booked flights and would ride for the first time late in June. We coordinated a date that worked in conjunction with the WHOA Jamboree, so I could also see a show too. Yeah!! I flew down before dawn on Friday, picked up my rental car... and was at Jane’s in time to have coffee with her. Then I logged in and worked that morning. After my final conference call I slipped on my jeans, boots and ball cap. A text came in from Joe and we set a ride time. I excitedly made my way over to Miller Coliseum after lunch. More importantly, to where Quinn had been put up in a “pretty little stall” for the next few days. She loves starlight mints. Refreshing. It felt good to turn into Miller and drive down that familiar white fenced drive to the exhibitor area. This time for my mad new adventure with Dr Harleen Quinzel. 😂 LOL. HQ was in the cross ties when I arrived. I could see her silhouette along with the profile of Bailey with her trademark high ponytail and Joe busily saddling up Q. I should have stopped to take that photo, but I was too excited to be moments from my very first ride on Quinn. Once she was saddled and ready Joe and I walked over to the warmup ring with Q trailing behind us like a good girl. She was taking it all in, fazed by nothing. When Joe lunged her, her first few steps reminded me of the first seconds of video I ever saw of her. Oh my goodness...pure chills. Yes - squealing, gushing and joyous dancing feet were involved. (Who me?) You can add tears of joy to that list, when Joe started to ride her. Waiting for our first ride. And then... it was my turn to ride. 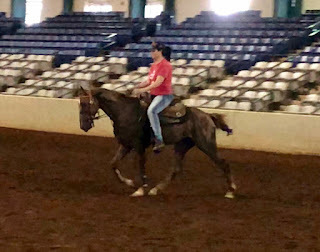 I think I floated up onto that saddle. Joe held her while she stood nicely for me to hoist up there. Then I took the reins and began to walk with her. Well, with that much motion I’m not sure exactly what you call it (or if it’s legal...lol) — I was in perpetual motion as she moved below me. I concentrated on finding rhythm with her. I circled around Joe as he talked me through the particulars and I giggled at how she felt. Familiar, yet distinctly (or should I say -quintessentially) Quinn. Push, pull, shake, stride. Mad love. Once I gained my confidence walking with her, I nudged her into a flat walk. I focused on timing myself with her and keeping balance. I forgot how skinny 2 year olds can be. I think my knees touched as I squeezed but I still felt no horse. Lol. She stepped up and I was transported to the Quinn zone. She’s air in my hands. She’s surprisingly strong from behind for a 2yo. And that head shake. Yeah boy. The next 10 minutes were magic. I think both Joe and I breathed sighs of relief as we wrapped up my “inaugural Quinn practice ride.” We did it. She suits me. Here’s to the next chapter with a crazy new team — Mistah J, Q and me. You never know how you’ll get along with a new horse. Or a new trainer. But this start was about as perfect as can be. Joe making it look incredibly easy. I rode a second time the next morning. Another great experience. This time I took her out on the rail and pushed her up to to see what she felt like. 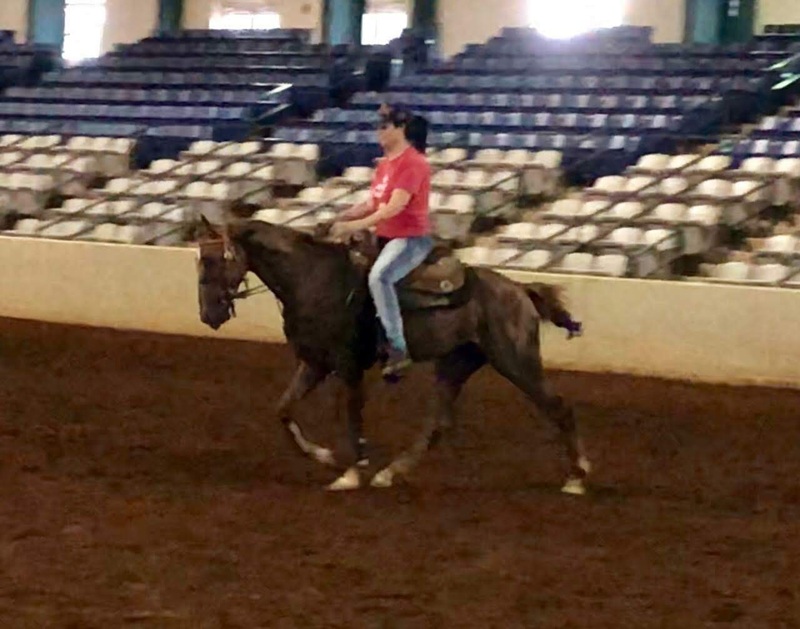 I was brutally reminded of how easy the pros make it look and at how much it really takes to ride the young horses that are still learning. And, as Joe advised, she still doesn’t completely understand what we’re doing here yet. I struggled a bit to keep her going and direct her but the lessons learned will refocus me on my balance, use of my legs and importance of my hands. Things I will practice on my horses back home to prepare myself even more. But all in all it was another success. Personally, as well as with Joe and Quinn. We’ll get there. And, when we do, it’s going to be sooooooooo amazing. 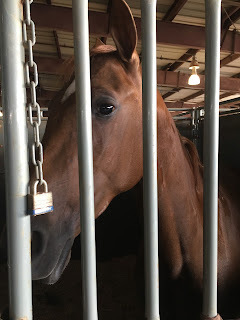 Quinn in her pretty little stall. 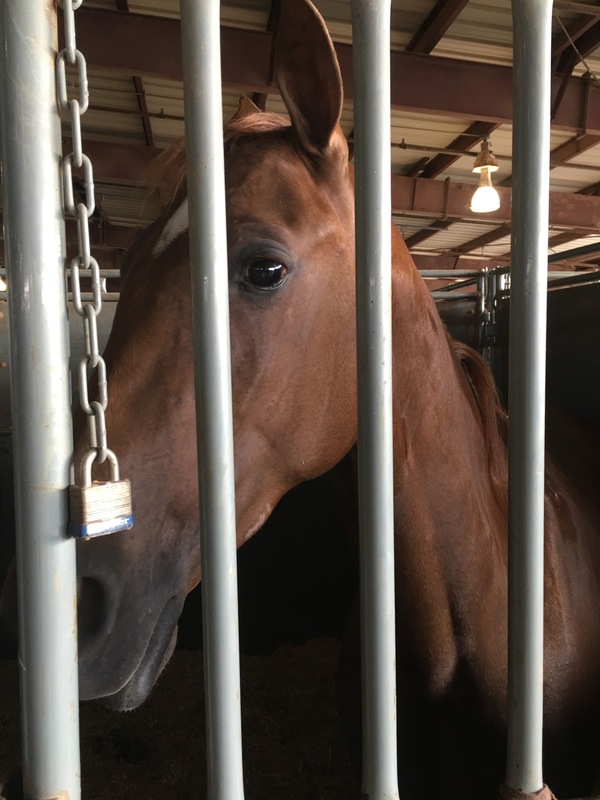 The rest of the weekend was spent meeting the Joe Lester Stables crew and clients, catching up with many friends, contemplations over dinners, helping Tammy show and watching some awesome horses in the ring. There are some pretty spectacular new junior horses coming up. Which is so exciting to see. The pleasure trainers are totally letting us have it this year!!! In a most excellent way. I also spent as much time as possible with Quinn. She is super sweet. Immensely smart. She does not like apples. 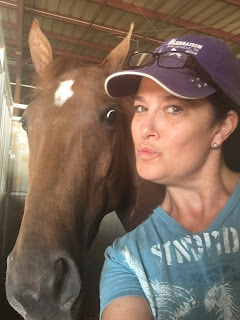 She loves starlight mints (insert mad flailing here). And she will do just about anything for a good neck, ears and withers scratching! Hint hint. Our next stop will be the July 4th week. 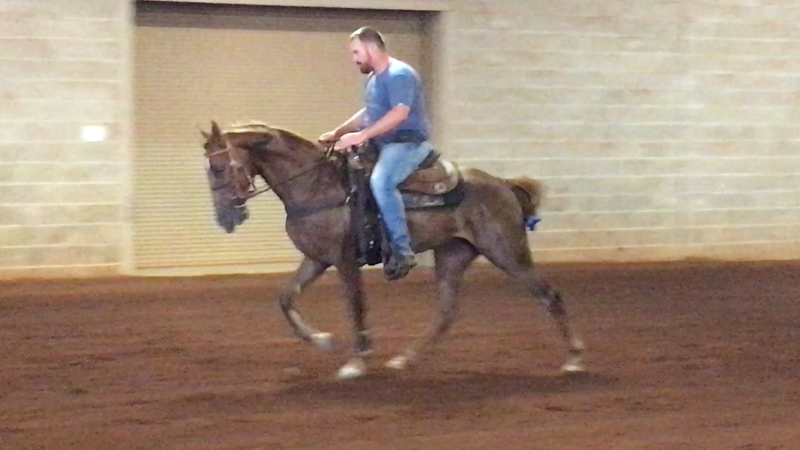 Joe will show her....and potentially it could be my first show on her. But ...we’ll see. Only if the practice ride that week goes well. (Fingers crossed).